Accidents occur due to a lack of safety at different power distribution units. One of those handling hazards is called switchgear. Many of us just throw the light switch on and there is light! Electricity has become such a convenient and necessary part of our lives. However, many of us never even give a second thought as to what goes into electrical distribution. Although electricity is an important part of our lives in Cleveland & Northeast Ohio, it can also be hazardous. It is important that electricity is distributed in a safe and secure manner. Accidents occur due to a lack of safety at different power distribution units. Several handling hazards are put in place to avoid a deadly outcome. One of those handling hazards is called switchgear and in Cleveland and Northeast Ohio we can help. While there are many safety devices and mechanisms that exist to help maintain security levels at all distribution and substations, switchgear is one of the most popular. Due to the various functions and features of switchgears listed below, we begin to understand why it is the chosen safeguard. 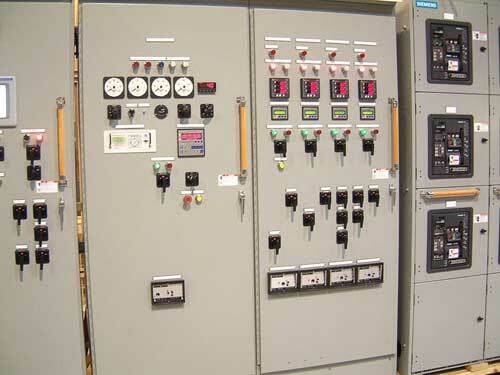 Switchgears provide ample segmentation of the MV (medium voltage) system. While industrial work is being performed on electrical cables and power stations, switchgears reduce the extent of power outages. Switchgears help in distributing and carrying the load and overloads of different electrical connectors during maintenance and service. They also help in clearing and identifying types of faults and connection failures. This minimizes damages and helps to avoid hazardous conditions. 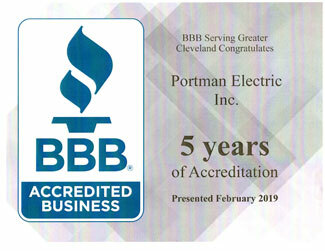 At Portman Electric we have the experience and knowledge as electrical contractors to install, maintain and repair switchgears. We focus our usage of switchgears to two main types; Metal enclosed switchgear and metal clad switchgear. We have found their usage in commercial and residential electrical connections necessary. However, in Industrial electrical connections we have found ultimate success! For industrial application in Cleveland and Northeast Ohio, the metal clad switchgear is ideal. It is commonly used to protect switching transformers, motors, generators, capacitors, buses, general feed lines and circuit breakers. Due to its weatherproof nature, it is ideal for outdoor installation. Industrial plants or factories have found using this type of switchgear helps better organize distribution of power to the machines employed in an industrial setting. Usually found indoors in Cleveland and Northeast Ohio, as it used for medium to low voltage applications. Ideal for residential or commercial use as metal enclosed switchgear provides an added degree of protection to personnel or residents that are in close proximity to the equipment. Should an internal arc occur the extra protection is there. "I was very happy with the service and quality of the work. They arrived on time, took their time to do all the work in orderly fashion and cleaned up like they were never there. You can't even tell anyone was working in area where new generator is sitting the surrounding grass was completely undisturbed. I had one miscommunication on what I wanted in regards to the panel and they worked with me and resolved the issue to my complete satisfaction no questions asked."